Syndicate Bank has released notification for appointing candidates on Specialist Officer Vacancies. 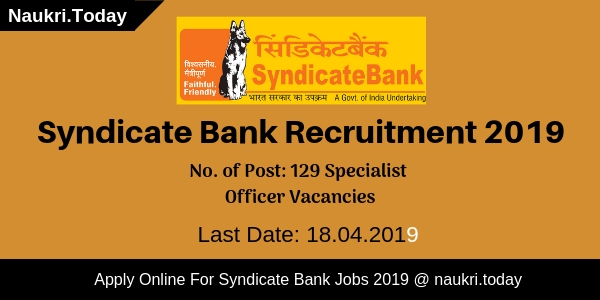 There are 129 Vacancies are available for Syndicate Bank Recruitment 2019. 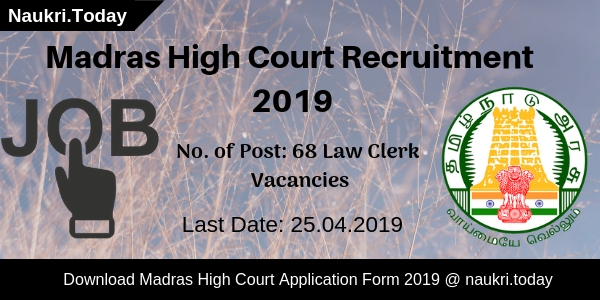 Candidates may fill up their application form before the last date 18 April 2019. The Online Registration will be started from 29 March 2019. Graduate or Diploma Applicants can apply only for Syndicate Bank Jobs 2019. Aspirants who belong to General / OBC Category have to Rs. 600/- as an application fee. The SC/ST/Ex-Serviceman Category contender will deposit Rs. 100/-. For furthermore details aspirants should read below article carefully. What is the Important Dates For Syndicate Bank Recruitment 2018 ? What is the Application Fees, Pay Scale & Selection Criteria For Syndicate Bank PO Vacancies ? How Much pay Scale will paid for Syndicate Bank Vacancy 2018 ? How Can I Fill Online Form For Syndicate Bank Recruitment 2018 For PGDBF PO Vacancies ? What are the Eligibility Criteria for Syndicate Bank Recruitment 2017 ? How to fill Application form for Syndicate Bank Recruitment 2017 | PTS Syndicate Bank Jobs ? What Is The Payment Method of An Application Fee For Syndicate Bank SO Bharti 2019? Candidates can pay their application fee through online mode only. Applicants should use their Credit Card, Debit Card, & Net Banking for the payment of an application fee for syndicate Bank Specialist Officer Recruitment 2019. 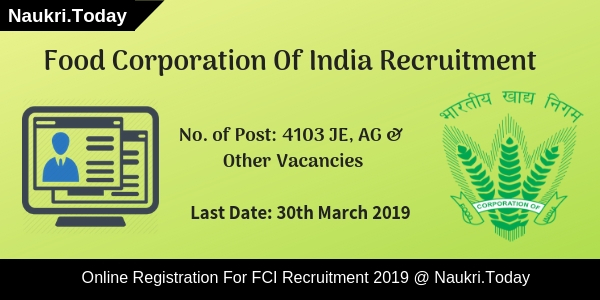 For more information candidates may refer to the official syndicate Bank Notification 2019. What Is The Upper Age Relaxation For Syndicate Bank Vacancy 2019? Upper Age relaxation is applicable as per department rule for Specialist Officer Posts. 5 years of age relaxation is given to the SC/ST Category candidates. 3 years of age concession is given to the Other Backward Classes aspirants. For category age relaxation aspirants should check given below table. Conclusion: Syndicate Bank Department has issued notification for 129 Specialist Officer Vacancies. Candidates may fill up their application form for Syndicate Bank Recruitment before the Last date that is 18 April 2019. For more information read the above article carefully. Dear Applicants, Syndicate Bank has released PGDBF Programme 2018-19 Notification. There are total 500 Probationary Officers Vacancies. Those candidates who are interested in Syndicate Bank Recruitment 2018 can fill application form through online mode here. Online registration for PGDBF PO Vacancy will started from 02.01.2018. You can submit online form for Syndicate Bank Vacancies till the last date, that is 17.01.2018. Syndicate Bank is inviting online form for filling up 500 PGDBF PO Vacancies. This is great job opportunity for all the candidates who are searching Bank Jobs. Those candidates who are going to fill online form for Syndicate Bank PO Recruitment must check required eligibility Criteria Form here. rest of the details about Syndicate Bank PGDBF Notification like Pay Scale, Education & Selection Criteria is mention in below article. Written Examination Date : 18.02.2018. Candidates who are looking for Syndicate Bank Vacancy eligibility criteria they can check from her. In the below section our team is providing full details about Syndicate Bank PO Vacancies like Education & age Criteria. PGDBF Programme 2018-19 Notification is mention in below section. Candidates must have done Graduation Degree in any stream with minimum 60% Marks (55% for SC/ST) from any recognized University for Syndicate Bank Vacancies. More information you can check from official Syndicate Bank PO Jobs Notification. Minimum age of the candidates for Syndicate Bank PGDBF PO Vacancies must be 20 years & maximum age must be 28 years as on 01.10.2017. Relaxation in age for Syndicate Bank PO Recruitment is applicable up to 05 years for SC/ST Category, 03 years for OBC & 10 years for PWD Category candidates. Candidates of General & OBC Category must paid Rs. 600/- as application fee for Syndicate Bank Recruitment 2018. Other category appliers for SC/ST/PWD Category must paid Rs. 100/- for filling online form. Fees must be deposited through online mode. Candidates will paid Rs. 300/- during Class room training of 09 months & In the last three month of internship Rs. 15,000/- per month for Syndicate Bank PO Jobs. Selection of the candidates for Syndicate Bank Jobs 2018 will based on Exam & GD PI Round. Final Selection will made on the basis of marks obtain in examination. More details about Syndicate Bank Vacancies 2018 from official notification. Eligible candidates can submit online form for Syndicate Bank Jobs till the last date 17.01.2018. Candidates can check step by step process of applying online form for PO Vacancies which is mention below. BY using these steps you can fill online form easily. First of all candidates log on to the official website www.syndicatebank.in. Now click on Career Section & check Syndicate Bank PGDBF Programme 2018-19 Notification. Read all information mention in notification. Now click on Applying Online form link. Recheck all details filled in form properly. Upload your scanned passport size photo & signature in form. Now deposit application fees & click on submit button. Conclusion : – Syndicate Bank Recruitment 2018 For 500 PO Vacancies,. Candidates can fill online form for Syndicate Bank PO recruitment on or before the last date that is 17.01.2018. For more information candidates must read the above article or check official notification. Applicant who are looking for Syndicate Bank Recruitment 2017 here is good news for them. Bank Department has released notification for 113 Temporary Attender & Part Time Sweeper Vacancy. Those candidate who are interested in Syndicate Bank Part time Sweeper Jobs can fill form before the last date. You can fill Temporary Attender and Sweeper application form before or on 05.05.2017. About Bank : Syndicate Bank is the oldest Commercial Bank of India. Syndicate Bank Headquarter is located in Manipal, Karnataka , India. Bank Tag Line is A Faithful & Friendly Financial Partner. Selection for Syndicate Bank Vacancy will be based on Written Test. More Details like Eligibility Criteria Like Education Qualification , Selection Process and Age Limit for Syndicate Bank PT Sweeper Job is given below on this page. Education Qualification for Syndicate Bank Temporary Attender Jobs | Part Time Sweeper Vacancy 2017 : Applicant can check district wise Post from above table.` Candidate must have pass 5th Standard for Syndicate Bank Temporary Attender Job from recognized School and Institution. Applicant should have not pass intermediate 12th class for PTW Jobs. Syndicate Bank TA Jobs Age Limit | Age Criteria for PTS Vacancy : Maximum Age of applicant for Syndicate Bank Recruitment 2017 is 26 Years and Minimum age for Temporary Attender Jobs is 18 Years. Age relaxation category wise given below. Selection Process for Temporary Attender Vacancy | Selection Criteria Syndicate Bank PTS Jobs : Applicant can check Education qualification and Age limit for Syndicate bank Jobs from above. Selection of candidate for Syndicate Bank Part Time Sweeper will be based on Shortlist of candidate for Written Examination. Pay Scale for Syndicate Bank Vacancy 2017 : Candidate can check pay scale for Part Time Sweeper and TA Jobs from official notification link given below. Syndicate Bank Recruitment 2017 – 113 Temporary Attender & P/ T Sweeper Posts. Applicant can firstly check the eligibility criteria from above. Those candidate are eligible and interested for Syndicate bank Job can fill Application form. Step given below will help you in filling Syndicate Bank Application form. Candidate log on the official website of Syndicate Bank www.syndicatebank.in. Click On Career-> Search Official Notification “Empanelment of candidates for the post of Temporary Attenders & Temporary Part Time Sweepers, RO, Jaipur” . Open Syndicate Bank Recruitment 2017 Notification in New Tab . Read all the eligibility criteria for TA and PTS Jobs. If You are eligible then download Syndicate Bank application form. Fill all the details carefully and correctly in Temporary attender application form . Affix your recent pass port size photo and signature for Part Time Sweeper Vacancy. Attest necessary document required for Syndicate Bank Vacancy. Send application form along with document on the given address. To get More details For Syndicate Bank Jobs Official Notification. Download Syndicate Bank Temporary Sweeper Application Form. Conclusion : Candidate can fill application form for Syndicate Bank Recruitment 2017. Applicant can check Eligibility criteria like education qualification and age limit for PTS Jobs from above. You can apply before or on last date 05.05.2017 for Syndicate Bank Temporary Attender Vacancy.